Training Treasures: 10 FREE Do-a-Dot Pages! My boys love cars, and I love making school activities for them and for all of those in favor of educating little ones! I programmed my son's do-a-dot pages with beginning blends. Then, because we have all this marvelous Halloween candy to boost homeschool morale, I let him cover the blends that I read to him. Sometimes I pointed to the blend and had him read them to me. After the trophy was full, he got to eat them. This motivated him to actually finish something he started, which proves to be a challenge! I also let my son color the blends. And finally, I saved his favorite activity for last- stickers! This helps with those fine motor skills! He went back over the blends (for the third time), and covered the ones I read with stickers. Teaching children is a blessing! 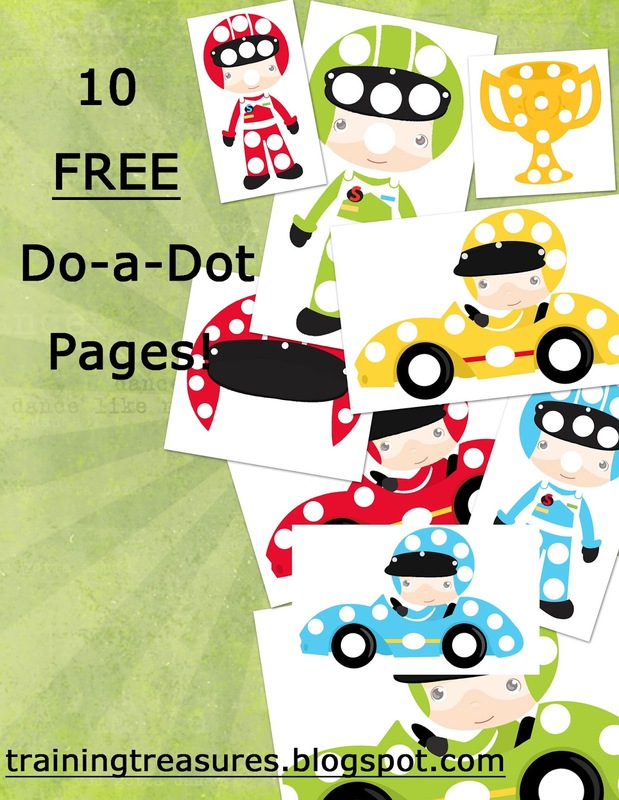 Enjoy these FREEBIES found in my TpT store! Leave feedback below!